In an alternate universe to the original Clannad anime, Okazaki Tomoya is dating Sakagami Tomoyo in the 24th and final episode of Clannad. When Tomoyo is elected Student Council President, her dream to save the school's cherry blossom trees from being cut down begins to come to fruition. 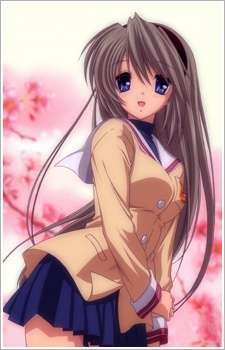 However, her never-ending duties and bad rumors about their relationship spread by fellow students due to Tomoya's reputation as a delinquent create a rift between the two. As Tomoya watches Tomoyo rise higher and higher into the distance, their relationship is stretched to the limit by a society that threatens to break them apart.